On October 3, a police sub-inspector was killed in Ahsanabad area of Karachi by two unidentified assailants riding a motorcycle. The attackers reportedly opened indiscriminate fire, before fleeing the scene. Hizbul Ahrar (HuA), a splinter group from the Tehreek-e-Taliban Pakistan Jamaat-ul-Ahrar (TTP-JA), claimed the attack on social media. Authorities have yet to confirm the identity of the assailants, as well as the veracity of the claim. On September 20, both the HuA and the TTP-Hafiz faction claimed a bomb blast against security forces in Spinwam, in North Waziristan, Khyber Pakhtunkhwa (KP) Province. The TTP and HuA both claimed an attack in Mastung on August 19, which was one of their earliest conflicting claims. 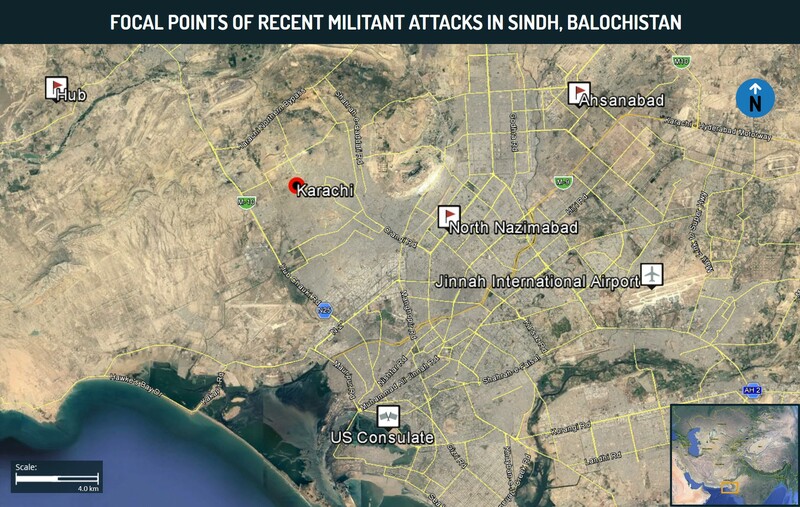 On June 2, the HuA claimed an attack against a paramilitary checkpost in Hub, Lasbela District of Balochistan, which lies at the border of Karachi, Sindh Province. In May, the HuA claimed a suicide attack against a bus in Attock in Punjab Province, following which the Counter Terrorism Department (CDT) arrested five militant operatives on September 17 planning to carry an attack in Rawalpindi. On January 12, the TTP claimed responsibility for the killing of a policeman in North Nazimabad area of Karachi. The latest claim by the HuA is highly notable, given that it is the first such claim by the group in Karachi and in Sindh Province. The group has typically confined its operations to northern and western Pakistan, in provinces such as KP, Balochistan, and the former Federally Administered Tribal Areas (FATA), in which the outfit has increased its operations in recent weeks. The latest attack in Karachi, combined with the May attack and the arrest of five of its operatives in Punjab Province, is indicative of the group’s attempt to increase its sphere of operations and to push for a presence in major civilian centers such in Karachi and Rawalpindi. Over the recent weeks, the HuA also appear to be increasingly challenging the factions of its former patron, TTP, by claiming attacks in TTP-held territories and by challenging the group’s claims. This was witnessed in the Spinwam attack on September 20, which occurred close to Data Khel, an area predominantly controlled by TTP factions. While Karachi has frequently witnessed attacks by TTP and its affiliates against law enforcement, the recent HuA attack of October 3 may be another indicator of the growing competition between the groups in a new sphere. It is also likely that HuA’s operations in Sindh and Punjab are aided by the defections of TTP-JA personnel to the new breakaway group. The modus operandi used is notable given that HuA methods that primarily use suicide bombings or IED attack. Motorcycle-borne shooter attacks are more characteristic of Karachi-based militants and criminal elements, which may indicate potential cooperation between these elements and the HuA. Should HuA be adding newer modus operandi to their current tactics, there is a threat that such attacks may be replicated by its cells in other parts of the country. Additionally, while the group has previously stated that all attacks will focus on government targets over civilian, the indiscriminate nature of their plot execution increases the risk of collateral damage, as the attacks have taken place in civilian-populated areas. FORECAST: Over the coming months, the authorities are likely to conduct operations in Sindh Province and along the border areas with Balochistan, in attempt to dismantle potential HuA cells and prevent infiltrations from Balochistan and the Afghan border regions into Sindh. We advise against all nonessential travel to Pakistan given the heightened threat of militant attacks, criminality, kidnappings and sectarian tensions throughout the country. Throughout Pakistan, we advise [as part of our security consulting services] minimizing non-essential movement given the daily nationwide threat of militant attacks and violent criminality. As a general precaution, maintain heightened vigilance in the vicinity of security detachments, government buildings, public areas, diplomatic installations, news stations, military bases, restaurants, high-value soft targets like schools, shopping centers, and religious centers including mosques as they remain potential targets for militant attacks. Those operating or residing in Sindh Province are advised to maintain vigilance in light of the recent HuA plot and the potential for growing competition between militant groups in Karachi, which may result in an increase in plots over the near term. On January 1, US President Donald Trump issued a statement on social-media threatening to cut financial aid to Pakistan for allegedly harboring anti-US militants within its territory and for lying to the US about its counter-militancy efforts. Washington officially announced a suspension of financial aid worth 2 billion USD to Pakistan on January 4, pending “decisive action” against anti-US militant groups, such as the Afghan Taliban and the Haqqani network, which it alleged targets US personnel in Afghanistan. On the same day, the US reportedly placed Pakistan on a watch list for “severe violations” of religious freedom, with Islamabad alleging that the move was “politically motivated”. In response to the developments, Pakistani Defense Minister Khurram Dastgir Khan indicated on January 9 that Pakistan had suspended military and intelligence cooperation with the US in the wake of President Trump’s allegations and the subsequent US measures. President Trump’s harsh rhetoric with respect to Pakistan’s “lies and deceit” have triggered a wave of anti-US sentiment in the country. Several political parties have also issued statements critical of Washington’s stance; most notable among them is opposition Pakistan Tehreek-e-Insaf (PTI) leader Imran Khan who has traditionally expressed his opposition to US drone strikes in Pakistan’s tribal areas. On January 19, Pakistan’s Interior Ministry closed the Islamabad bureau of a US government-linked Pashto-language media outlet after Pakistan’s intelligence agency, the Inter-Services Intelligence, accused it of airing programs “against the interest of Pakistan” and of “portraying it as (a) hub of terrorism and (a) safe haven for militant groups”. At least 43 people were killed in an overnight attack claimed by the Taliban group on a UK-based luxury hotel in Kabul on January 20, prompting the White House to call on Islamabad to conduct the immediate arrest or expulsion of Taliban leaders based in Pakistan. According to Pakistani officials, two Haqqani network militants were killed in a suspected US drone strike in the Federally Administered Tribal Areas (FATA) in northwestern Pakistan on January 24. The aid freeze is notable as it is the first concrete, coercive measure adopted by the Trump administration towards Pakistan over its alleged implication in the conflict in Afghanistan. Occurring in the wake of President Trump’s unveiling of a visibly more aggressive Afghan strategy in August 2017, the measures appear aimed at securing enhanced counter-militancy cooperation from Islamabad against anti-US groups in Afghanistan ahead of an anticipated annual uptick in their operations during the annual spring offensive. Such cooperation, as Washington expects, would largely encompass intelligence regarding the whereabouts of senior leaders of the Afghan Taliban and the Taliban-linked Haqqani network, that Pakistani intelligence allegedly harbors on its soil. Islamabad has maintained that the actual levels of involvement of the Haqqani network in the Afghan conflict are minimal. However, US officials’ estimate that the Haqqani network has a membership of over 10,000 and are one of the most operationally-sophisticated militant groups in Afghanistan, highlighting their concerns about the group’s key role in the conflict. Nevertheless, the latest measures from Washington are unlikely to achieve the intended response from Islamabad. Such punitive financial cuts are not entirely new in US-Pakistan relations, with one of the most recent examples occurring in the immediate aftermath the unilateral US raid in 2011 targeting the hideout of deceased al-Qaeda (AQ) leader Osama bin-Laden in Abbottabad, Pakistan. 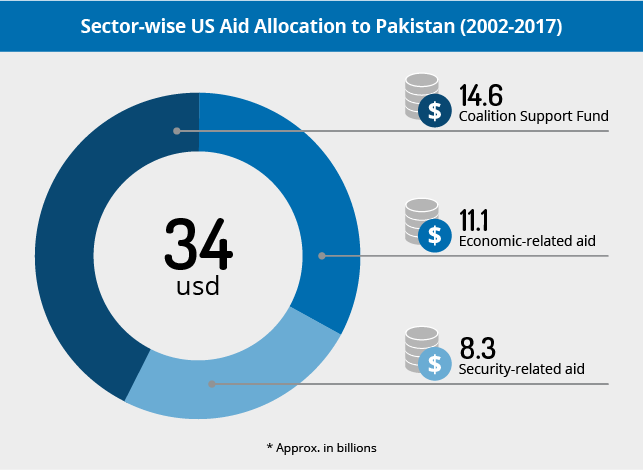 Washington’s frequent resort to the threat of aid withdrawals to shape desired policy behavior has enabled Islamabad to take appropriate measures to weather the negative impact of these measures. More importantly, Islamabad’s long-term ties to the Afghan Taliban and its affiliated groups continue to remain a core component of its national security strategy. This is unlikely to shift significantly under external pressure or inducements from the US. Islamabad perceives close relations with such groups as securing itself vital strategic depth in Afghanistan and as a bulwark against the perceived growing influence of regional rival India in the country. Policymakers in Islamabad also work under the assumption that the factors that sustain the insurgency in Afghanistan may not be completely quelled simply through militarily eliminating the Taliban, given the general inadequacy of the Afghan government’s security policy. As such, and in the event of a future US withdrawal from the region, Islamabad may perceive itself as being the most vulnerable in terms of long-term militant blowback from the region. Another factor shaping Islamabad’s reluctance to capitulate entirely to US demands could be concerns that any overt assistance to the US war effort in Afghanistan could have severe domestic repercussions, including widespread public backlash as well as a potential uptick in Islamist militant attacks within Pakistan’s territory. Given Islamabad’s apparent intransigence on the issue, Washington has a range of measures it can choose to initiate in order to escalate diplomatic pressure. These measures include the revocation of Pakistan’s non-NATO ally status, which could deny it preferential treatment on military hardware sale deals or influencing international financial institutions to suspend lending to Islamabad. 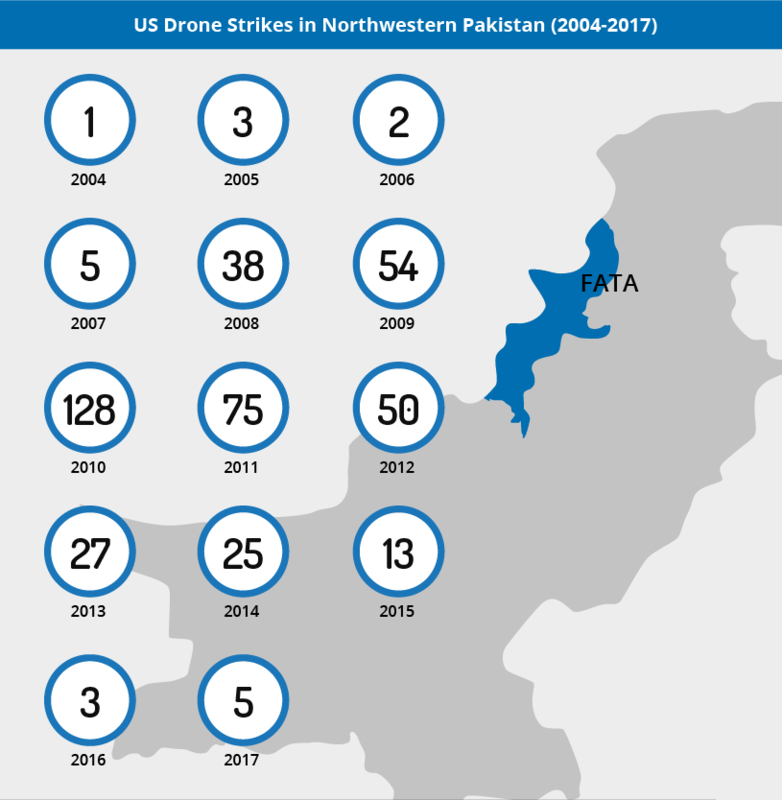 Another angle that may be considered is to conduct, expand, and even regularize drone strike operations in and outside of Pakistan’s restive FATA, particularly in neighboring Balochistan Province where top leaders of the Afghan Taliban, known as the Quetta Shura, are believed to be residing. However, such measures run the risk of triggering retaliatory measures from Islamabad that could damage the overall US effort in Afghanistan. Pakistan could enforce a closure of the US ground and aerial supply routes through the country that sustain US troops in landlocked Afghanistan. This may include closing off US access to military bases in Pakistan that have been used for logistical operations. Such a move would considerably increase operational costs for the US and hamper efforts to combat the currently resurgent Taliban. Washington would likely have no choice but to seek alternative routes, most of which run through Central Asian countries that are largely under the Russian sphere of influence. Current US tensions with Russia over a number of issues could dampen the appeal of such alternative supply routes. Despite the elevated tensions, both countries remain appreciative of the mutual benefits of ties to the overall regional counter-militancy effort, as illustrated by continued low-key meetings between US and Pakistan administration officials. While Pakistan has largely benefited from friendly ties through the procurement of military hardware, Washington understands the role played by Pakistani intelligence in its efforts to dismantle AQ networks in the region. This explains both countries’ seeming unwillingness to resort to further escalation tactics, at least for the time being. FORECAST: Tensions are unlikely to dissipate over the coming months, and any rhetoric from Washington over the issue is likely to trigger similarly sharp verbal responses from the administration in Islamabad. This is likely as authorities would seek to project strong leadership in the face of external pressure, particularly due to the upcoming general elections in Pakistan this year and the potential for opposition politicians to raise the issue. One of the factors that may have emboldened Islamabad to challenge the US is Beijing’s continued verbal assertions of support throughout the crisis. China proclaims itself as Pakistan’s “all-weather friend” and has continued to shield the Muslim country from international censure with respect to its perceived inadequate counter-militancy efforts. Additionally, a suspension of financial aid from the US may not be as impactful as Washington intends it to be, as Islamabad has a diverse list of countries, including China, Turkey, and several Western European countries, with which it has maintained defense relations. China’s attempts to establish a naval base in Jiwani in Pakistan’s Balochistan Province may also be perceived in Islamabad as early efforts to establish growing security cooperation between both countries over the long term. Nonetheless, Islamabad will remain reluctant to completely detach itself from all military cooperation with Washington. Currently, much of US defense sales to Pakistan focus on the F-16 fighter jets, a key component of Pakistan’s aerial defense capabilities. Additionally, Washington-supplied attack helicopters, such as the AH-1Z Viper, considerably enhance Pakistan’s counter-militancy operations in the harsh mountainous terrain of the country’s northwestern tribal areas that are known to be militant safe havens. Thus, any potential suspension of US assistance with regards to maintenance of the fleet would negatively impact anti-militancy operations. This, coupled with Beijing’s current inability to match or surpass the performance criterion of far superior US-made aircraft, is likely to push Islamabad to maintain its defense ties to the US. FORECAST: Political groups in Pakistan are increasingly liable to utilize the issue to portray the Pakistan Muslim League-Nawaz (PML-N) government as ineffective in safeguarding Pakistani interests and seek to mobilize large numbers to boost their respective election campaigns. 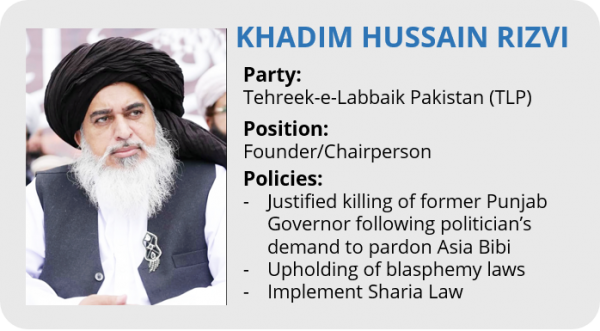 Apart from mainstream political groups, Islamist organizations such as Difa-e-Pakistan Council (Council for the Defense of Pakistan) led by Hafiz Saeed, and newer parties such as the Tehreek E Labbaik Pakistan (TLP) are likely to spearhead these protests, in order to increase their relevance during the election year. Given the existing hostility within the Islamic demographic against President Trump’s decision to recognize Jerusalem as the capital of Israel, these protests are liable to draw turnouts in the thousands. They may particularly target US diplomatic installations in major cities, and bear the risk of violent escalation due to the heightened sensitivities over the issue. A considerable section of Pakistan’s Muslim community, especially those that subscribe to a hardline Islamist ideology, continues to harbor sympathetic views with the Afghan Taliban, which is seen as fighting a corrupt and inefficient Afghan government backed by the US. FORECAST: Taliban-sympathetic militant groups in Pakistan are likely to continue to capitalize on public suspicions of the US’ motives and the West in general. This may take the form of attacks using local sympathizers on Western NGOs, particularly health workers involved in immunization campaigns that are considered a Western conspiracy to sterilize Muslim populations. During periods of particularly tense Pakistan-US relations in the immediate term, the risk to US nationals of Western interests by extension is elevated. The potential for attacks remains greater in major cities in the outlying provinces, such as Quetta in Balochistan and Peshawar in the Khyber Pakhtunkhwa Province, where groups like the Tehreek-e-Taliban Pakistan have a notably strong presence. US nationals operating or residing in Pakistan are advised to remain cognizant of the increased anti-US sentiment in the country at present and to avoid demonstrations and large gatherings over the issue, given the potential for unrest. We further advise to US nationals in the country to maintain a low profile due to the potential for targeted attacks, while avoiding engaging in discussions with locals over the sensitive issue. Clashes on the border between India and Pakistan have escalated again since December, leaving around a dozen dead and tens of thousands displaced. Pakistan is likely seeking to increase pressure on India to renew negotiations over Kashmir through a controlled escalation. Despite both side’s efforts to ensure relatively localized hostilities, risk of more widespread border conflict remains. We advise against all nonessential travel to Pakistan given the ongoing threat of militancy, kidnappings and sectarian tensions throughout the country. We advise against all travel to Jammu and Kashmir state, with the exception of Jammu and Srinagar cities. On January 13, in a joint conference with Sartaj Aziz, adviser to Pakistan PM Nawaz Sharif on national security and foreign affairs, visiting US Secretary of State John Kerry asked Pakistan to work with India to resume peace talks. However, Aziz ruled out any dialogue with India if the disputed Kashmir region was not part of negotiations. Kerry made the comments after holding talks in India, where President Obama will visit later this month. The Pakistani stance comes as tensions have escalated considerably between India and Pakistan since the last quarter of 2014. The said tensions have been most clearly evident with the surge in violence on the border between Indian and Pakistani troops in parts of the disputed regions of Jammu and Kashmir. Both sides have accused the other of being behind the escalation. Since December, around a dozen fatalities on both sides have been recorded. The most serious incident came on December 31, when five soldiers on both sides were killed. Much of the recent fighting has been focused to the International Border between India and Pakistan, on the southern flank of Jammu and Kashmir. The International Border is a relatively smaller border portion in the overall disputed Jammu and Kashmir region. Both sides say hundreds of ceasefire violations were recorded in 2014, with unconfirmed reports indicating that the year saw the most border incidents since the current ceasefire came into being in 2003. In that context, in late December, India’s defense minister instructed commanders stationed along the border with Pakistan to intensify retaliations against Pakistani fire. As a result of cross-border fire, which occasionally lasts for hours on end, Indian officials in New Delhi have reportedly asked local authorities in Jammu and Kashmir to construct fortified bunkers for local populations. Over ten thousand Indian civilians have fled their communities along the border with Pakistan as a result of cross-border fire, which has mostly involved mortar and small-arms fire. Pakistani reports have also alleged Indian fire into Pakistani civilian areas. Furthermore, the latest tensions come on the heels of ongoing negotiations to form a government in Indian controlled Jammu and Kashmir. India’s ruling Bharatiya Janata Party (BJP) campaigned heavily for the region’s state assembly elections. After performing reasonably well, the People’s Democratic Party (PDP) and the BJP are now trying to form a government. Turnout was deemed a success for the BJP, especially given calls by pro-Pakistani separatists in Jammu and Kashmir to boycott the elections. Meanwhile, and in conjunction with cross-border hostilities, the threat of militancy in Jammu and Kashmir, and inside major Indian cities, persists. During the morning hours of January 14, two Lashkar-e-Taiba (LeT) militants reportedly encountered Indian security forces in the Chankhan area of Sopore, 40 kilometers northeast of Srinagar, in Jammu and Kashmir. Reports suggested that LeT commander Abu Huzaifa, was one of the two militants. On January 15, reports indicated that Indian military officials believe approximately 200 Pakistan-based militants may attempt to infiltrate in order to attack what the government referred to as “soft targets,” including schools, civilian areas, and religious places. The Indian Army believes the militants are poised at 36 launch points throughout the Pakistani controlled area across the Line of Control (LoC) in the Pir Panjal range. Meanwhile, five militants were killed by Indian security forces in Gader in Shopian, Jammu and Kashmir on January 15. The five were reportedly affiliated with the Jaish-e-Mohammed (JeM) and Hizbul Mujahideen. Indian forces conducted a search of the forested area after intelligence reports indicated militants had entered the region. Unconfirmed reports suggest the Division Commander of (JeM), Mohammad Toyib, was among the militants killed. Tensions between India and Pakistan are longstanding and this has necessitated a highly militarized border between both countries. At present, the conflict between India and Pakistan is highlighted chiefly by continuous allegations that both sides are using militancy to undermine the others’ security, along with border clashes in Jammu and Kashmir. We assess that both issues are linked. On top of their historic rivalry, we assess that there are several new factors that have further undermined bilateral relations between the two nuclear armed states and exacerbated instability along their shared borders. First and foremost, Pakistan is highly volatile and under a heightened state of alert for militant attacks. Attacks occur daily, throughout the country, including in major cities. Warnings of militant attacks have also escalated following the December 16 high-casualty attack in Peshawar. As a result, Pakistan has intensified its counter militancy operations nationwide, especially in the northwest tribal regions. Pakistan claims it has killed over a thousand militants from its now intensified operations in the northwest, named Khyber 1 and Zarb-e-Azb. Pakistan may be aiming to balance its military activity, given the relative controversy of targeting militant Islamists within traditional Islamic Pakistani society, while hostility to India remains a popular policy domestically. Therefore, internal Pakistani concerns regarding the prestige of the military following the launch of campaigns targeting Islamist militants could be bolstering an interest to escalate tensions with India. Strategically speaking, Pakistan is also likely concerned over the continued American so-called pivot to East Asia. As a major strategic ally of America, Pakistan is likely concerned that the pivot, along with the end of American military operations in Afghanistan, could leave it increasingly isolated, thus forcing it to become more reliant upon American rivals like China and Russia for various kinds of support. Conversely, it is also likely that Pakistan is wary of growing ties between India and the US, highlighted by Obama’s upcoming visit. This could necessitate Pakistan to take steps in order to ensure its interests are secured. As tensions with India have been a major focus of John Kerry’s visit to the region, it is possible that Pakistan aims to cite the increasing tensions with India to place the US as a mediator between the two sides. Additionally, Pakistan is likely to cite India’s growing military and economic prowess, along with the threat from internal Pakistani militants, when requesting further American assistance. We also assess that Pakistan likely has an interest to reinvigorate the Jammu and Kashmir debate, especially on the global stage. Islamabad is likely concerned that the regions will eventually be perceived as de-facto Indian or a non-conflict. As Pakistan ultimately aims to reclaim these areas, this may warrant hostilities in order to showcase Pakistan’s claim. Targeting the International Border could also be a Pakistani attempt to show that all of Jammu and Kashmir is under dispute, not just certain border markings. The lack of international concern resulting from India’s elections in the disputed regions only likely enhanced Islamabad’s views on this matter. Those elections were widely perceived by Indians as a referendum on Indian rule in the disputed regions. Despite the tensions with India, we assess that national security and foreign affairs advisor Aziz’s statement indicates a possible Pakistani interest in renewing talks with India over Kashmir. Direct military pressure could be a method to achieve this goal, especially as President Obama could use his visit to urge India to engage in fresh negotiations with Islamabad. PM Modi of India, however, is a Hindu nationalist and likely wary of entering negotiations meant to retake territory under Indian control. The elections in Jammu and Kashmir likely served to further cement his hesitation towards negotiations over these disputed regions. Also, Modi is likely cognizant of the strategic ramifications of bending to Pakistani demands at a time of rising concerns of future tensions with China. Both China and India have active border disputes in Aksai Chin and Arunachal Pradesh, which led to a brief war in 1962. Furthermore, the recent cases of Pakistani mortar shelling of Indian border villages, as opposed to fighting positions, may have been an effort to exert further pressure on the Indian government to ultimately force it to the negotiating table. In that context, the Indian threat of severe retaliation was likely meant to deter Pakistan from taking more aggressive steps that could force India into another border war. The current BJP government is likely keen to avoid an escalation at this time, as this could complicate the establishment of a new government in Jammu and Kashmir, and counter an overall national security strategy to reach strategic parity with China. As mentioned above, Pakistan may be hoping that PM Modi will choose negotiations to ease the fighting in Kashmir. If negotiations are the goal, Pakistan is likely of the impression that a certain and calculated level of force is required to achieve this. This assessment is bolstered in that much of the recent fighting has taken place along the southern border of Jammu and Kashmir, which is manned mostly by the Indian Border Security Force. Their positions are less fortified when compared to the regular and better-armed Indian army troops positioned in the rugged mountains of northwest Kashmir. Moreover, tactical analysis from recent clashes points to efforts by both sides to control the level of escalation. They have refrained from using airpower and heavy artillery. Altogether, we assess that tensions will remain high along the border in the coming weeks. Further clashes should therefore be expected, along with the possibility of a more widespread escalation. Such an escalation could result incidentally from unacceptably high casualties suffered by either side during bouts of cross-border shelling. Nonetheless, we assess that much of the fighting, even the possibility of an escalation, will remain localized to Jammu and Kashmir, most likely the southern sector, over the coming weeks. Efforts to avoid such a development are likely as well, as both sides likely aim to keep the situation under control in order to protect their respective interests. In conjunction with the threat of border hostilities, there is a heightened threat of militant attacks in India emanating from Pakistan-based militants. For example, India routinely accuses Pakistan of attempting to infiltrate militants into India, under the cover of border shelling. Numerous warnings have been sounded in recent months, the latest being mentioned above concerning possible attacks on ‘soft targets’. India will therefore maintain heightened deployments in the coming weeks, especially ahead of and during President Obama’s visit, in order to prevent infiltrations across the LoC. However, the latest clashes between militants and security forces in Jammu and Kashmir, including the detention and elimination of Pakistani militants, points to an initial and successful infiltration of some fighters. Still, India has claimed to have thwarted several infiltrations. Nonetheless, mass casualty militant attacks inside major Indian cities, or in Jammu and Kashmir, could serve to seriously erode security conditions along the border and bilateral relations between New Delhi and Islamabad. Hey Buddy!, I found this information for you: "MAX Analysis India & Pakistan: Cross-border hostilities likely to continue as Islamabad seeks to intensify Kashmir debate January 23, 2015". Here is the website link: https://www.max-security.com/reports/max-analysis-india-pakistan-cross-border-hostilities-likely-to-continue-as-islamabad-seeks-to-intensify-kashmir-debate-january-23-2015/. Thank you.